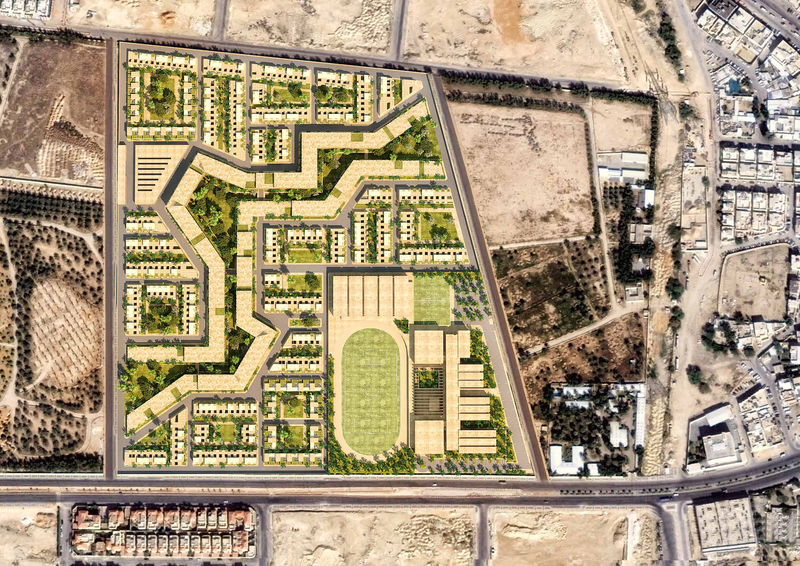 Durrat Al Hada will accommodate over a thousand tenants within its premises. 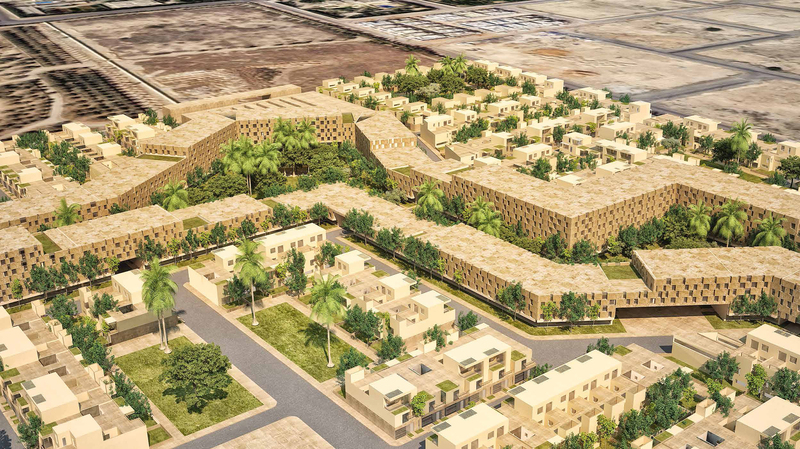 Reverting to WaHa’s experience in compound business in KSA, it is also intended to build a British school within the compound area, to provide education mainly to the children of tenants, also serving students from outside the compound. This practice is known to be beneficial as well as rare in Riyadh. 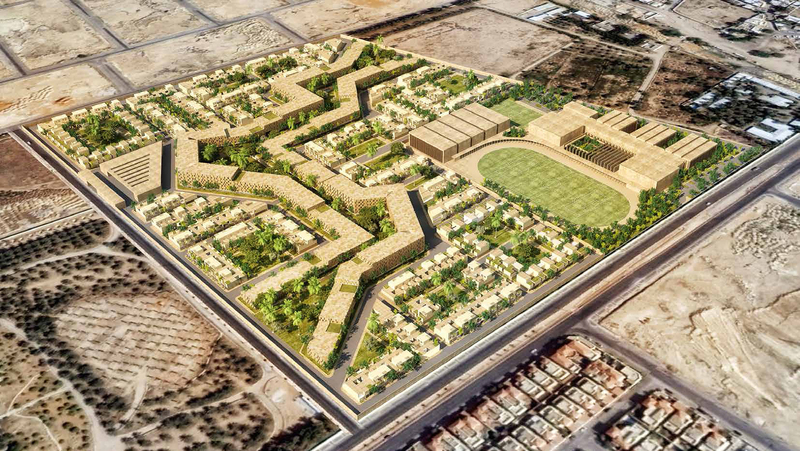 The project is planned to include around 1,000 housing units and an International School with a capacity for approx. 2,300 students. Of the total compound a piece of land around 55,000 m² is reserved for the school. Closely located to various demand generators such as Riyadh's Primary CBD, City Centre, DQ, Universities, Commercial Developments, Hospitals, Schools, etc. that induce demand for a residential development, the Site has good accessibility due to its location and proximity to major thoroughfares. 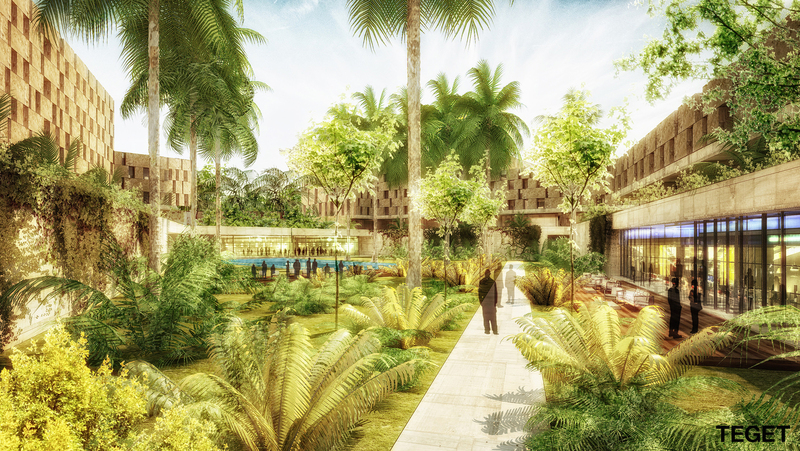 The signature characteristic of the design is repeated in this project, by creating the underground street beneath the entire strip of apartments that surround the amenity valley. Tenants living in the apartments, who also will be the vast majority of the compound population, will be able to park their cars right underneath their units and access their flats directly from the basement. The concept allows more than 50% of the vehicular traffic and parking space to be eliminated from the surface, providing a pedestrian-friendly environment for tenants to enjoy.